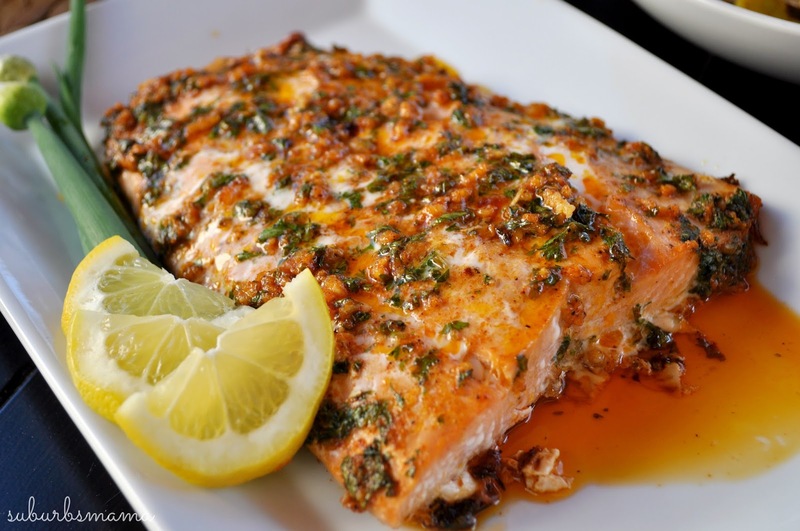 The butter, garlic and herb combination makes this salmon recipe amazing. It is extremely easy to make and tastes so good. Even my kids who are picky ask for seconds. 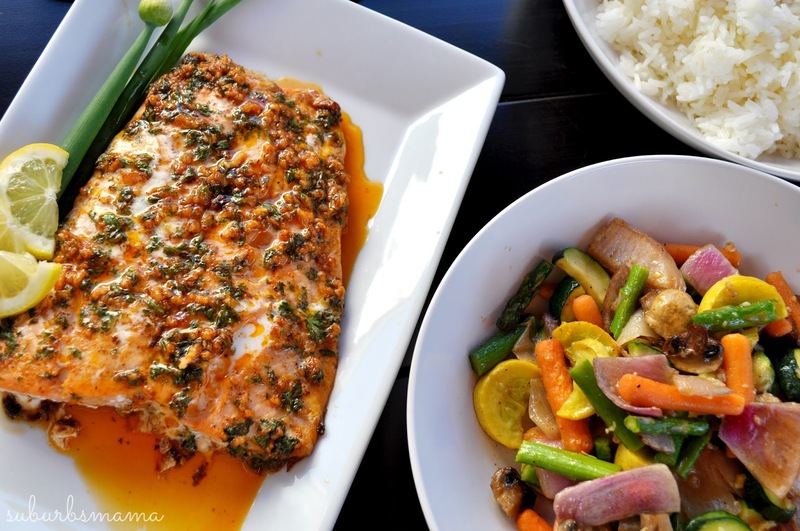 I love how flaky the salmon is, I like to serve it with rice and roasted veggies. In a glass measuring cup, melt butter. Add garlic, parsley, salt and about 3 dashes of pepper. Stir well until combined. Arrange salmon on a baking sheet or casserole dish. Spoon the garlic herb mixture on the salon and coat the all sides well. You don't have to marinate. If you have fresh salmon, you don't need much flavoring. I however prep my dinners in the morning/afternoon. So I cover the salmon and stick in the fridge until dinner time. Drizzle salmon with 1 TB olive oil, bake salmon for 20 minutes. Remove salmon to serving dish and drizzle with pan drippings. Serve with lemon wedges.